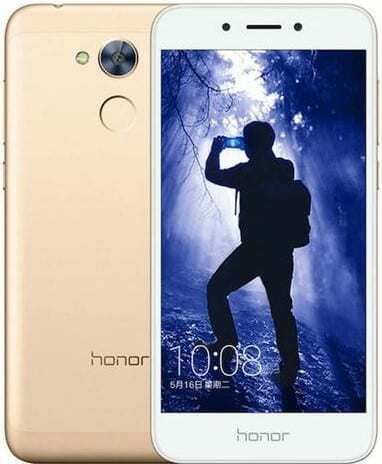 Huawei Honor 6A is an affordable smartphone showing an impressive design and promising decent user experience. It comes with a 5-inch HD display, an octa-core processor, and a respectable battery. Considering the price, one can’t say the Huawei Honor 6A disappoints on looks. It does well. The design features both metal and glass. The metallic chassis is a product of a soft sandblasting process that gives it a sleek touch. It shows a somewhat slim profile at slightly over 8 millimetres in thickness. Huawei Honor 6A rocks a 5-inch HD display. While the resolution may seem low to some users these days, the IPS panel should provide good enough image quality. Honor says it has an eye protection mode that automatically adjusts screen brightness and reduces blue light. You may expect the Huawei Honor 6A to provide enough value for money in shot quality. The smartphone carries a 13MP camera with phase detection autofocus on its backside. This features a ‘precision’ 5-element lens. The 5MP front facing snapper should fare well for selfie taking and video calling. Internal storage capacity is 16 GB, extendable by up to 128 GB using a microSD card. With an octa-core processor on the inside, the Huawei Honor 6A looks like one to impress. It should. But do not expect way too much since the Qualcomm Snapdragon MSM8937 chipset it carries has a top speed of 1.4 GHz. You should enjoy decent level of multitasking with 2 GB of RAM available. Huawei Honor 6A comes with its maker’s EMUI 5.1 software, a tweaked version of Android 7.0 Nougat. This dual-SIM phone offers support for LTE networks to enable blazing fast mobile data speeds. You get Bluetooth 4.1 and Wi-Fi 802.11 b/g/n for wireless connectivity. There is no fingerprint scanner in sight, though. A 3,020mAh battery supplies juice to get the Huawei Honor 6A going. The Chinese phone maker says this provides up to 32 hours of talk time on a 2G network and about two-day music playback. Huawei Honor 6A is not yet available in Nigeria, Kenya, and Ghana, but you can buy from Jumia. The Huawei Honor 6A Price in Nigeria ranges from 55,500 Naira to 85,000 Naira depending on your location.